In this volume, Kwan Lee, one of the top Systema instructors in North America, shows how you can develop functional strength and flexibility in a dynamic and sustainable manner with proper breath and relaxation. Specifically requested by world-renowned Master of Systema, Vladimir Vasiliev, this DVD is your chance to discover original and never-before-seen functional strength and mobility exercises that can be applied directly to your fitness and combatives regimen. With detailed explanations and progressive demonstrations, the material is intuitive and easy to follow and can be applied instantly. Also included is an all-new and innovative Dynamic Stretching Progression for the entire body. This one sequence is worth the viewing alone since it gives you a basis for developing true "Freedom of Movement." Learn what it takes to free yourself from the shackles of limited movement, tension, and rigidity. Enhance tendon and ligament strength and develop the ability to adapt to ANY environment instantly while remaining composed, aware, and in control. Every tip and exercise is geared toward expanding your options so that you can evade threats, deal with destructive energy, and change levels effortlessly. Equip yourself with the tools to achieve total freedom of movement! I have been using Strength and Flexibility DVD for six months. I find it to be very pleasurable to do, especially the upper body flow (wrist-elbow-shoulder sequence). Sometimes time flies when I practice. Despite, I still have had a chronic pain in my left shoulder blade that nothing seems to help completely. But the whole thing change when I followed your DVD today. I was performing a certain move in your DVD, which you describe as a move that will help open the chest. I have practiced this move before, but did not notice that you instructed that wrists should be straight. So, I adjusted my wrists and elbows. Then something amazing happened ? my left shoulder began to relax COMPLETELY. Then, my mind dissociated. I saw my self a child, holding my shoulder and neck so tight in front of my mother who was scolding and telling me to shut up. I have always believed that this chronic pain in my left shoulder is psychosomatic. Indeed, I have been a long-time meditator. Through Qigong, Open Focus, Feldenkrais and so on I have healed most of my psychosomatic pains, except this one. I kept wondering why. But I have found this today through your DVD. I can't thank you enough. I really wonder how I could have found the cause of this pain without your DVD. It was interesting to see the various different ways to build up strength and flexibility. Kwan Lee has done exceptional work on this DVD. It will take me a while to get to the level that Kwan Lee demonstrates on the DVD, but at least the DVD lays down a definite path to follow. This should be recommended to everyone learning Systema, irrespective of the level of mastery. 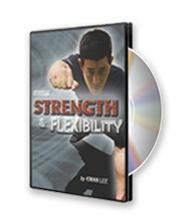 I am fortunate to be among the first Torontonians to own Kwan Leeâ€™s â€œSystema Strength and Flexibilityâ€ DVD. Viewing the video has been a delightful and instructive experience and the DVD certainly earned its place in my collection. One can admire the effort, mind and heart Kwan put into this project. Understandably, purchasing a DVD is always a challenge â€“ you donâ€™t know whether youâ€™ll be able to make use of it until it is played (Eastern Europeans jokingly refer to this predicament as â€œbuying a cat in a sackâ€). Admittedly, I used to be prejudiced in this respect, as well â€“ mostly due to the commercial ads for Aerobic or Boxercising videos abundant on TV. 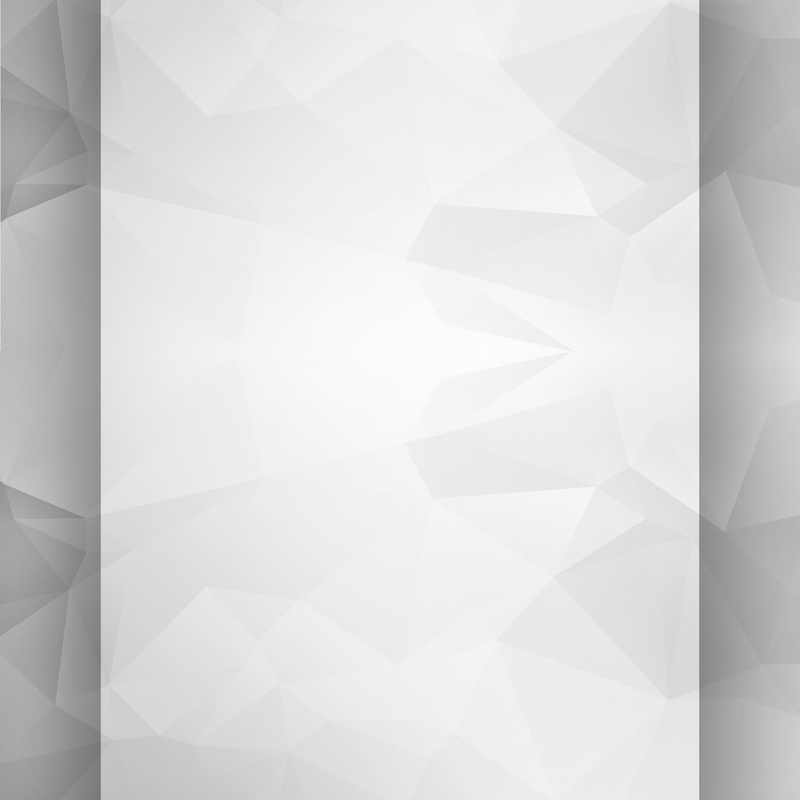 Those usually feature lean and handsome people sporting firm six-packs and biceps suggesting that you will become â€like thatâ€ once you buy their product. Unfortunately, many a time the instructor in such videos does not go far beyond â€œfollow meâ€ and â€œthis is good for youâ€, and you end up watching the video once or twice in its lifetime, mostly because you donâ€™t know if you are â€œfollowingâ€ correctly or doing it right. Systema DVDs are different altogether and â€œSystema Strength and Flexibilityâ€ certainly meets the high standards set by Vladimir Vasiliev and his fellow-founders. Kwanâ€™s instructional is truly a learning aid â€“ it keeps you engaged and interested from the beginning to the end, equally due to the lively visual presentation and interesting content. Kwan takes the viewer step by step through various exercises of increasing complexity while providing the necessary background information and helping avoid common mistakes. Whatâ€™s more important, after watching the video, the viewer will understand that the goals stated on the cover and demonstrated are realistic and effective â€“ one can achieve or make a significant advance toward the goals and will be much better for it. On the subject of the goals, no DVD that I knew of before was focused specifically on developing strength and flexibility by working on oneâ€™s tendons as opposed to growing muscles. Kwan did an excellent job in summarizing and presenting effective methodologies for doing so. These exercises are beneficial to all and noticeably improve oneâ€™s day-to-day life, they reduce injuries, build confidence, and allow to breathe through any type of tension while exercising, among other things. This subject goes hand in hand with non-destruction â€“ another fundamental concept in Systema. Regular exercises for building muscles, such as weight lifting, are associated with tension, which is stressful and ultimately destructive to the body, especially as the practitioner grows older. Needless to say, they suppress natural reaction and speed of movement. â€œStrength and Flexibilityâ€ shows you a way to avoid the stress and tension while making your body firm, relaxed, and by naturally increasing your range of motion. The DVD is very well planned - as you try to follow the instructions and get questions, the answers are there (or, at least, the video will put you on the track to find the answer that works for you on your own, so long as you follow the guidelines that Kwan outlines). There is something new to learn each time one watches the instructional and this makes it an active learning aid that follows and helps your progress. A final word â€“ my several years in Systema led me to believe that there comes a point in your development when you can and should improve not only by training yourself, but also by sharing what you already learned with the others. It is very inspirational to see Kwanâ€™s advancements. As far as I know, he has not had Russian Special Forces training like most Systema founders and if he can measure up to the masters nevertheless, so can you and I. In other words, the DVD proves Systema is not an ivory tower â€“ regular people who are not pros like Vladimir Vasiliev and Mikhail Ryabko can get there, too! Kwan, Just a short note to let you know that Iâ€™ve been using your â€œStrength and Flexibilityâ€ DVD ever since I received it 3 or 4 weeks ago. In fact, I do anywhere from 20-45 minutes or so in the morning to wake up body & spirit for work, and at night when I get home, Iâ€™ll do selected exercises to relax. The instruction is clear, concise, and complete. What I really like are the variations, and the invitation to build my own, free-flowing movement literally from head to foot. As someone who has had injuries from weight lifting, kettlebell training, and running (live long enough and you can damage just about any body part) Iâ€™ve been pleasantly surprised the way the movement in Strength and Flexibility have opened up my hips, knees, and ankles. At the recent Systema seminar in SF, I picked up a second copy for my son to use at college. It sounded as if you intended to release more volumes. When you do, please let me know. Kwan clearly demonstrates functional training methods. Kwan, this is a great dvd! It has already helped me with the knee and hip excercises, the whole dvd is an eye opener though! Thank You! In this innovative production senior Systema instructor Mr.
Kwan Lee takes the viewer on a progressive journey of dynamic kinesthetic exercises and body movement drills which introduce the viewer to a new and deeper understanding and appreciation of strength and flexibility. Rather than merely providing an intense muscle burning workout and encouraging you to push yourself to achieve deeper stretches, Mr. Lee expertly demonstrates unique and creative movement sets designed to target not only the muscles of the body, but also taxing the tendons of the bodyâ€™s joints. This challenging approach creates superior ability to generate power, enhanced strength endurance, and a vastly increased range of motion simply unachievable through conventional exercise methods. Aside from heightened physical capabilities, Systema Strength and Flexibility provides the keys to overcoming self-imposed limitations and unlocking your own natural genius for creative movement. Whether you are a martial artist or sports athlete, if you want to be in superior physical condition and to discover your talents, Systema Strength and Flexibility is a must. This DVD is not only essential for any serious Systema practitioner, but it is also the highest quality solo training product I have ever encountered. I already knew Kwan to be a first-rate instructor with practically unparalleled knowledge in this area. But nevertheless, this DVD far exceeded my expectations. The drills are expertly structured and comprehensively explained. The production values are very high, utilizing graphics and close-ups to reiterate key points of structure and form. And the action itself flows from subject to subject with all of KwanÂ’s trademark fluidity. Along with Vladimir'Â’s Let Every Breath book, this DVD forms THE foundation for Systema conditioning, but it would also be invaluable to all martial artists, athletes and fitness enthusiasts seeking to take their functional strength, flexibility and physical dexterity to the highest level. Buy this. Now. Believe me, you will not regret it. Unlike many exercise programs I have tried in the past. The material presented on this dvd leaves me feeling energized and rejuvinated...not beat down. Even with neck and back pains, I have been getting relief through these excersises. Great dvd for anyone wanting to enhance their active life! Mr Kwan Lee, Sir, I am a 52 year old Corrections Officer. I started Systema last month by attending a seminar in Chicago. I have plenty of experience with kettlebells and bodyweight conditioning, however It wasn't until I did the work presented did I begin to realize how much damage I was doing and how limited my range was, and I am considered very flexible by those who know me. This material is excellent and I thank you very much for your contribution to all practitioners of Systema. As a person just starting I would consider these movements invaluable. I just finished watching your Strength & Flexibility DVD. Wow! I only made it through about 1/4 of the DVD yesterday before I went to work, and did the exercises I had viewed as part of my warmups and felt great afterwards. I will be working on the rest of the exercises from here on out. I was an attendee at the Systemanar in Park City last week and I wanted to let you know that even though I found many of the materials you shared with us to be very difficult and bruise-inducing (solely my own fault through unconscious tension and breath-holding), my joints and muscles are more relaxed and feel better than they have in years! As a Pencak Silat stylist, I have trained my body to be maximally tensed in my training, but it didn't dawn on me just how much I kept that tension throughout my daily life, especially in my jaw, neck, trapezius and glutes until you helped me awaken this awareness. I never would have imagined that the most effective way for me to acknowledge these chronically tense areas would be by taking strikes to them, but that is exactly what worked. Once again, thank you for every strike you gave me...For me, the education that experience provided extends deeply within my psyche, bringing things I was consciously unaware of to the forefront of my mind. Now I have the opportunity to address those things which have been hidden for my my entire life. I feel that your training will continue to help me improve and strengthen myself not only as a martial artist, but also as a human being. Kwan, I cannot say "Thank You" enough for every single second of your training at the Systemanar, and now I can also honestly say "Thank You" for producing such an excellent DVD. I can only hope that all who watch it get as much out of it as I have. I plan on watching it many more times as repeated exposure is sure to bring even more to my mind that I didn't catch on previous viewings. great dvd, ive always had problems with movement, stiffness. Mr. Lee's presentation is one of the finest instructional videos that I have had the pleasure of viewing. Though I have a limited amount of exposure with Systema, the principles illustrated by Mr. Lee and his students offer the viewer an immeasurable amount of practical applications for the real world. After sixteen years of being a professional soldier, attendance at numerous combative programs, and graduation from the Master Fitness Trainer Program, I have to say that the simple and principle-based training offered by Mr. Lee in this video is by far the best! Having integrated these principles into my own routine I can already notice immense changes in just one week, and will most definitely begin to share these principles to my soldiers. My thanks to Mr. Lee and his students. Those of you who have had the opportunity to work with Kwan Lee and the material he has been presenting over the years on strength, flexibility and dynamic stretching are in for a real treat. I first had the privilege to work / struggle through this progressive series of exercises some years back during Vladimir Vasiliev's "Dynamic Limb Destruction" seminar in New York. Kwan later shared this unique set of work with us during last year's "Systema Summer Camp." Since then there had been a huge demand for this particular information with the promise of a soon-to-be available DVD. Well the DVD is finally out and I received my copy today. It was definitely worth the wait. The production is professional and concise, and the demonstrations by Kwan and his assistants are inspiring and at the same time humbling. Kwan leads us through a complete lower and upper body progression that allows you to gradually strengthen and improve your flexibility with varying degrees of difficulty. With a little self-study and research the combative application of each movement becomes obvious. During the Extra Features, Kwan does a nice overview on the important aspects of Systema breathing. He also demonstrates the flow and freedom of dynamic stretching during the warm-up portion. One of my personal favorites was the "Outtakes" segment. Without giving anything away, lets just say some of the thoughts you may have been thinking during the main instructional portion may be answered. For me (someone who seems to be challenged with endless tension), this was one of the most inspiring segments of this excellent DVD. Thanks Kwan; I am looking forward to the next in what I hope to be a continuing series of instructional and supplementary Systema material. Brandon is a U.S. Special Forces combat veteran and Master Instructor/Chief Combatives Instructor at International Training Inc. I had the privilege of seeing Kwanâ€™s new video on Systema Strength and Flexibility during my recent visit to Arizona to co-teach a seminar with Kwan. Kwanâ€™s years of Systema training with Vladimir Vasiliev at Headquarters in Toronto, and his many seminars around the world, have given him the strong knowledge and experience that is clearly translated in his new video. What impressed me was Kwanâ€™s ability to show Systema movement in such a clear and concise way. Not only does he show the â€œhow toâ€ of movement but he also explains the principles of Systema through a series of practical drills that are easy to follow. Anyone who knows Kwan knows that he has high standards of himself and his students. The video illustrates his standards well. The quality and the camera angles are professional and easy to watch. Kwan shows the work and how the students implement the exercises, which are ultimately very applicable to any real combative situation. With my many years of experience in Systema, I recognize the value of what Kwan is offering. Whether it is groundwork, standing work or transition work, this work will help to improve any new or experienced Systema practitioner. I highly recommend this video but donâ€™t take my word for it. Experience it for yourself. Thank you for a beautifully produced DVD. I have watched it many times in the 2 weeks since I have received it and am amazed at the depth of the material presented. This video does presume the viewer is a Systema practitioner, or at least familiar with the practices of the art, but it contains exercises suited to any level of fitness. These exercises will provide you with instant as well as continuing benefits, the level of relaxation I felt after my first try at them was one of the deepest I have experienced. There is a lifetimeâ€™s worth of work here, and it is highly unlikely you will exhaust the possibilities even the simplest exercises from this collection have to raise your fitness, mobility and self awareness. Your nervous system and connective tissues will thank you every time you practice these exercises, they will thank you with capabilities you did not suspect you could ever develop. A couple of weeks ago, I purchased a copy of Systema Strength and Flexibility by Kwan Lee. I have viewed it twice now and had a chance to start putting the information on this DVD into practice. This video is quite simply superb. I have 27 years of martial arts experience that includes Japanese Karate, Aikido and most recently Systema (about 3+ years now). I have trained with a wide variety of people and seen an equally wide variety of conditioning methodologies and strategies for martial arts fitness. The information on this video surpasses all of that. It is simple and straight forward, yet it contains a huge amount of insight and information, as does much of the training we do in Russian Martial Art. Veteran practitioners of Systema training will likely recognize a few of the things presented. What stands out however is Mr. Lee's strong command of the subject matter and excellent, concise explanations of the principles and methods. These explanations leave the watcher with a very solid and pragmatic understanding of the information presented. What also stands out for me is the fact that the drills and methods Mr. Lee presents on this DVD are adaptable to most any level of skill or fitness. The practitioner can make the exercises as easy or as challenging as they wish depending on their ability and level of conditioning. If you follow the advice of Mr. Lee and do the exercises properly they are also very safe as opposed to some of the more extreme methods I have encountered in other styles. Don't get me wrong, there are some VERY challenging exercises on this DVD. However, they are presented in such a manner that you can build up to them and still get maximum benefit as you do so. They are not the â€œall or noneâ€ type methodologies I have encountered in the past. This is a real boon to those who teach mixed groups that have varying levels of experience in their ranks (which I think describes most martial arts teaching environments). On top of all this, I must say that the filming and editing of the video was also extremely well done. All exercises are clearly illustrated and easy to see. The manner in which it is filmed and perspective of the camera allow the viewer to see exactly what is going on so there is no confusion about what is being presented. Mr. Lee also makes plain, logical and easy to understand use of diagrams and illustrations to ensure the viewer understands the exercises. It is not presented in the "monkey see, monkey do" manner many instructional DVDs are made. Like the videos from Russian Martial Art headquarters, this DVD gives you a solid foundation to work with and learn from. It is the next best thing to hands on instruction and I highly recommend it to any martial artist whether they practice Systema or not.